With the Easter holiday in full swing and many drivers needing extra carrying capacity in their cars, a new investigation has proved that roof boxes reduce mpg. The test, conducted by authoritative magazine What Car?, tested a pair of popular family cars first without a roof box, then with one. Fitting the load lugger reduced economy by more than a third on one of the cars. While roof boxes appear to reduce mpg, we’ve got some handy hints that drivers can deploy to help limit that decrease in economy. The judges from What Car? used a Dacia Logan diesel and a petrol Nissan Qashqai. 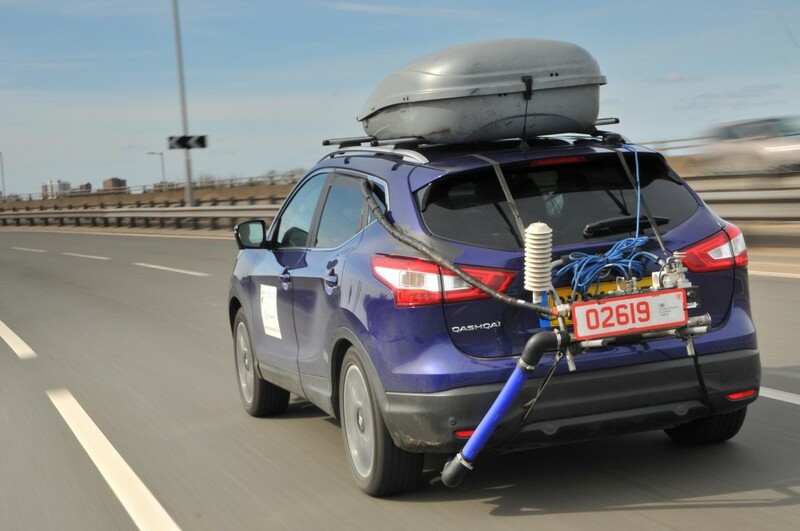 Without a roof box, the Dacia managed 54.2mpg, 27 per cent less than the claimed 74.3. Add the roof box and the mpg deteriorated to 48.5 or 35 per cent less than the manufacturer claims the car is capable of. Meanwhile the Nissan does 37mpg without the roof box against a claimed 47.1. However, with the roof box it was only capable of 32.5mpg, 31 per cent less than its claimed economy via the Government tests. Roof boxes reduce mpg: Why do they have such an effect? Leaving engines aside for a moment, two major elements affecting a car’s economy are weight and aerodynamics. A roof box has in impact on both. Cars’ shapes are carefully sculpted to ensure they’re as wind cheating as possible. Roof boxes too are designed to be wind cheating so at low speed their impact on economy is negligible. But the higher the speed, the more affect they have. According to used car buying guide Parkers, extra weight can reduce a car’s mpg by up to 20 per cent because the engine has to work harder to haul it around. Roof boxes reduce mpg: Why are official figures so inaccurate? Official economy figures are measured according to a procedure that’s been in existence for about 30 years. Called the New European Driving Cycle (NEDC), it analyses cars’ fuel consumption in laboratory conditions on a rolling road. This ensures the tests are repeatable for all cars. However, the NEDC doesn’t reflect real-world driving conditions. During the tests, all the car’s systems that have an impact on fuel economy such as lights and air-conditioning are switched off. The tests also don’t include hills, winds or factors such as speeding up or slowing down for junctions and traffic lights. Although the What Car? tests prove that roof boxes have a significant effect on a car’s economy, driving style can have a greater impact. For a start, watch the road ahead. Anticipation is the eco-driver’s friend. It enables you to ease off the accelerator well in advance of other drivers or hazards that may force you to slow down. Cruising up to junctions rather than braking hard will help save fuel. Watch your speed as well. Cruising at 60mph rather than 70 on motorways is more economical. And idling in traffic uses fuel too. Cars that come fitted with start/stop systems that turn the engine off automatically when stationary are reckoned to knock around 15 per cent off the fuel used for town driving.